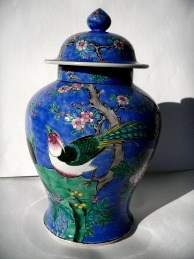 Comments for Kanxi Falangcai Ginger Jar? A single small picture? Cannot see any details, but colors too bright.